The claymation technique that is utilized in Dreamworks’ charming “Chicken Run” is one of the many masterful movie art forms that has become lost amongst the upheaval of more mainstream (and usually less fulfilling) approaches, and the one format of movie animation in which the primitive realm it is cemented to still has a tendency of enticing audiences more than evolved ones. After computers took over the field in the mid 1980s, movie animation is consistently trying to push the envelope, introducing spectacular techniques so frequently that there is little opportunity to give them a sense of diversity. Don’t get me wrong—I adore animation in almost every way, shape and form, as it is a constantly-evolving film process—but its accessibility has become questionable, because most recent pictures are given the same replicated treatments and generic scopes that we are used to seeing in, say, standard summer films. Only “Titan A.E.,” a marvel of vibrant animation and thrilling storyline, has made a significant impression on the recent supply of movie animation (save “Fantasia 2000,” which is an immediate classic, but by no means a narrative innovation). And though Disney’s ambitious “Dinosaur” shows potential for future techniques, its story is derived of simplicity and deserves a much more exciting edge than it has been given. Having said that, “Chicken Run” reminds us of the simpler times, and how more enlightening things are when artists are not overworking themselves on attempts to outdo previous techniques. Granted, claymation is a rather complex process in its own right; each frame is carefully molded and requires a great amount of supervision. But this isn’t just a technical success, mind you, but an utterly fascinating and endlessly exciting little feature in which a smooth story, charming characters, spurring twists and sophisticated dialogue heighten the thrill of watching every frame unfold. This isn’t a classic like Tim Burton’s nightmarish claymation effort “The Nightmare Before Christmas,” but in all fairness, is just as irresistible. In the story, the careless and particularly ugly Tweety couple owns a farm, treating their animals with such detest that the movie even has a reference to “The Shawshank Redemption,” in which inmates were subject to abuse from prison guards. Tweety’s use for chickens is not a big surprise—they lay eggs and he sells them—but when the poor little feathered hens have ceased their egg-laying cycle, the farm owners have them destroyed and made into Chicken Pot Pies. 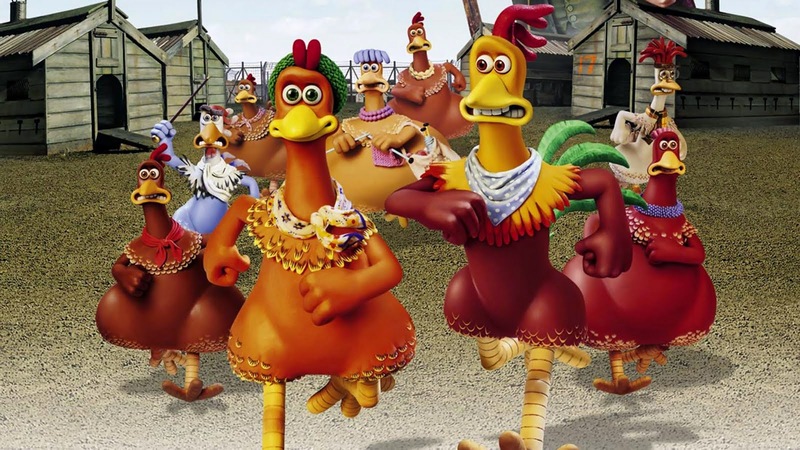 Fearing that their end is near, the Chicken’s most vocal associate, Ginger (Julia Sawalha), forms a plan to help her entire troupe escape the fate that is in store for them. This, of course, requires them to scale the tall fences that enclose their pen, but since they don’t know how to fly, they fear that this task will be impossible. Luckily, a circus chicken named Rocky (Mel Gibson) crashes into their lair, and he agrees to teach them how to utilize their wings as long as the ladies keep his existence a secret from the Tweety couple. Even though its story is hardly what one might call complex, “Chicken Run” has wit and attitude that no one normally sees in animated movies. This is the direct appeal to adult viewers—the hook, so to—who will dig into the picture’s subtext and uncover a highly-conveyed sense of knowledge, sagacity, and even pop culture. While the script is supplied with marvelously pulled-off in-jokes and remarks, the movie’s characters behave and discuss with a touch of human realization. A pair of rodents, for instance, enjoy spending their screen time mooting on theories of what came first—the chicken or the egg—and the chickens who fear the end is near don’t spend time in panic, but in discussion on what the future has in store for them. The movie’s director, Nick Park, is a prodigy in the world of claymation to begin with; his legendary “Wallace & Gromit” shorts have won him international acclaim (not to mention Oscar status). Here he has taken that success and given it feature length, without ever holding back on all the new possibilities. 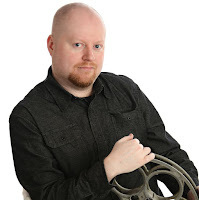 Hopefully, his name value will boost his movie’s chances of being a box office hit, as few suspect it could be because of its long-forgotten technique. That, needless to say, would be an incredible shame, because “Chicken Run” is a movie so sweet, so open and honest that we savor its charm and bathe in its confidence. By the end, we are left with high spirits and smiles, thrilled by the movie’s journey from inside the tall fences of a chicken pen to the limitless world outside waiting for them.